You’ve purchased or rented an RV and have chosen a route, but now what? 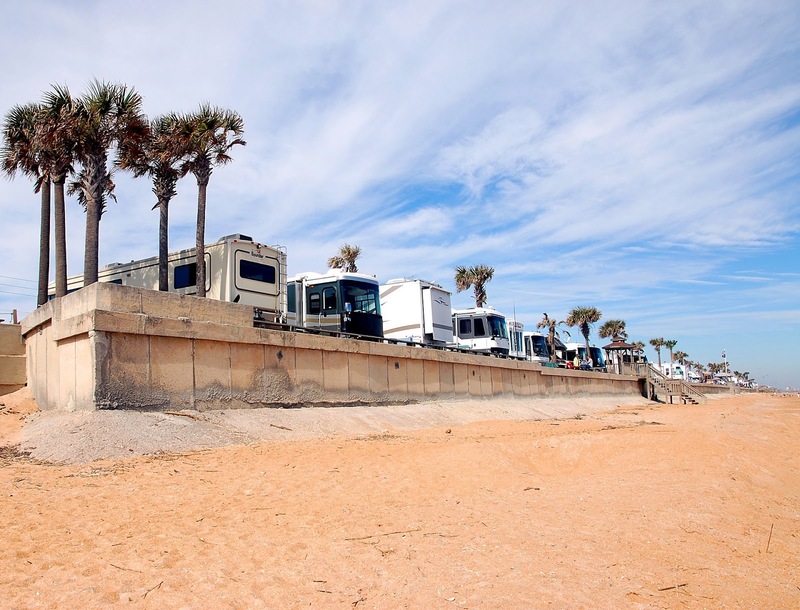 You’ll need to plan ahead for where you’ll park your RV during your travels. If you’ve never gone RVing before, this can feel a little overwhelming. Sure, you can Google “RV parks in [add location]”, but do you want to know how a full-time RVer finds the BEST spots? How about FREE spots? Well, you’re in the right place. Based on our personal travels, I have put together the ultimate guide to help you find the absolute best spots to park your RV. Prior to searching for spots, it’s important to understand your options and requirements. the amenities you’ll need for your stay. You’ll need to use these requirements as filters when performing a search, to help you find the perfect spot. 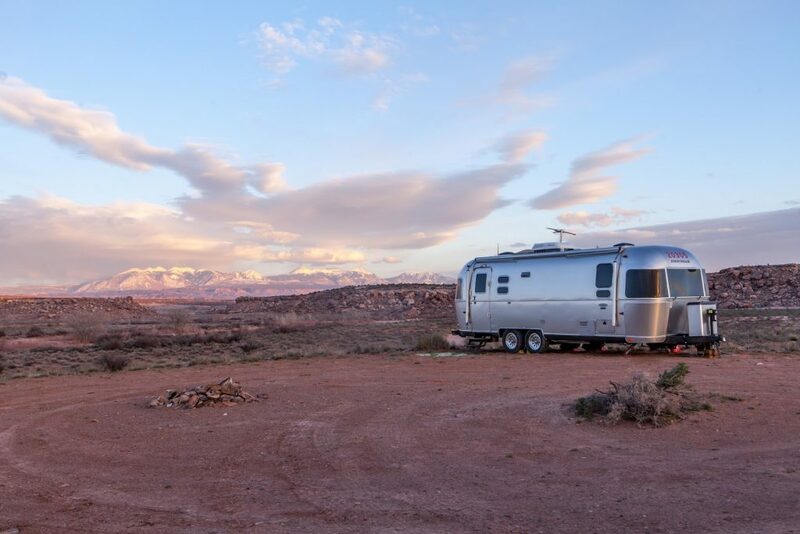 Campendium is a free website that allows you to type in any location in the U.S. and have access to a map and list of all the possible spots to park your RV in that location. You can also see reviews of the spots written by RVers who have stayed there. 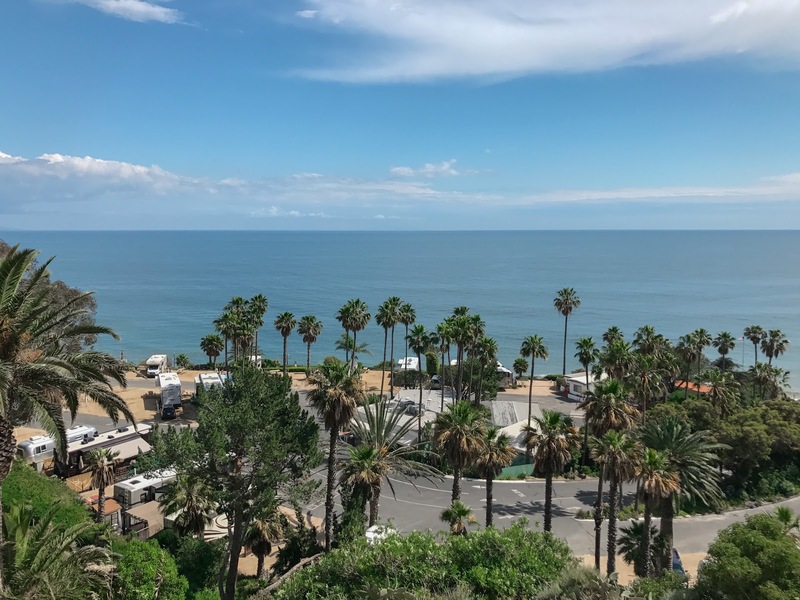 Campendium gives you access to the GPS coordinates for the location, wifi signal, link to the website to make a reservation, photos of the spot, etc. 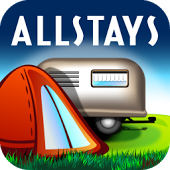 All Stays is an app that features an interactive map with over 60,000 points – RV parks and campgrounds, gas stations, rest areas, stores, low clearance areas along the road, RV dealers, etc. While it costs $9.99 to download, it is extremely helpful for finding more than just a place to park. Hip Camp is another free website with over 285,000 spots to park your RV and camp. Hipcamp features a variety of camping options, such as ranches, vineyards, farms, public parks, and more. They also provide information about the spot and make it easy to make a reservation right from their website. 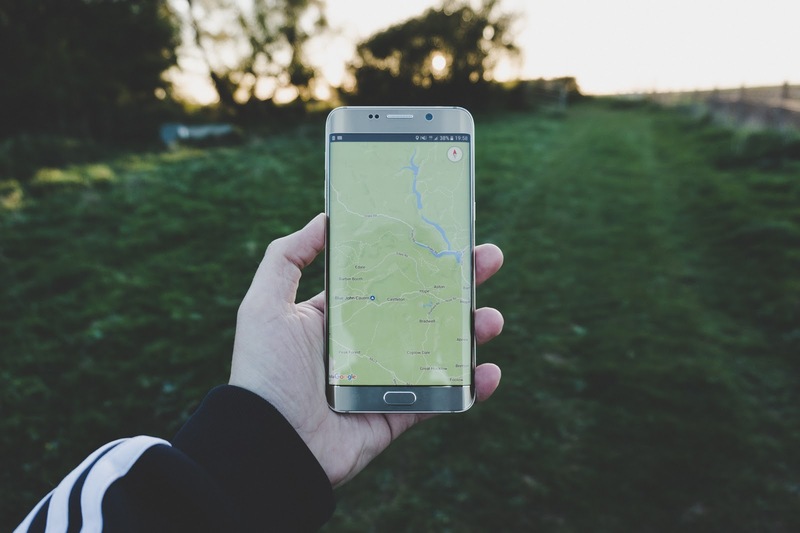 You’ll notice that once you perform a search based on your location, requirements, and preferences, you’ll have the option to choose either a campground, an RV park, or a free spot. To help you decide, here is a little more information about each of those options. The National and State Park systems have great (and affordable) spots to park your RV. This is an especially good option if you’re exploring the park and want to stay right in the center of all the action. Their campgrounds are often in some of the best recreational areas. Spots don’t always have full hook-ups and typically have length restrictions. Camping and RV spots inside the most popular national and state parks tend to book up far in advance during the park’s high seasons. I highly recommend reserving your stay or understanding their walk-up options ahead of time. The nice thing about RV parks are the amenities they offer. You are guaranteed to have at least partial hook ups. 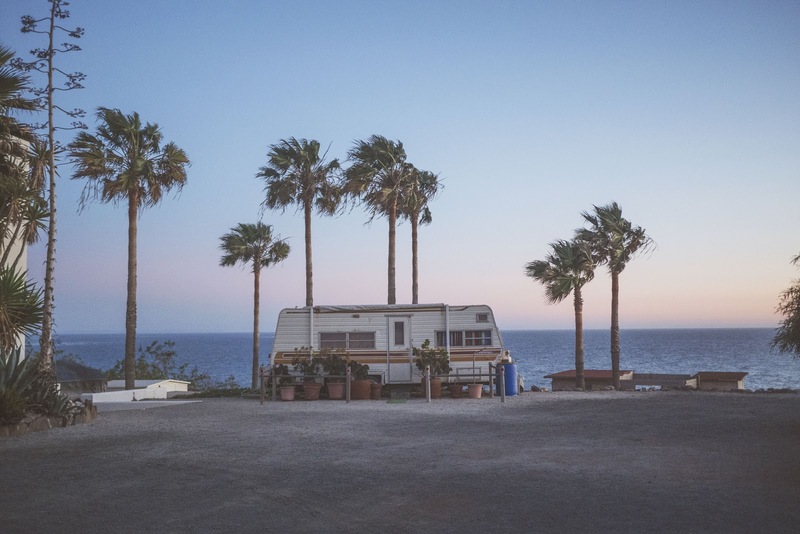 But many RV parks also offer other amenities such as pools and spas, laundry facilities, free wifi, hot showers, dog parks, and general stores! Let’s face it, sometimes you just need the convenience of amenities. I’ve found that staying at RV parks make my RV feel more like home and less like camping. 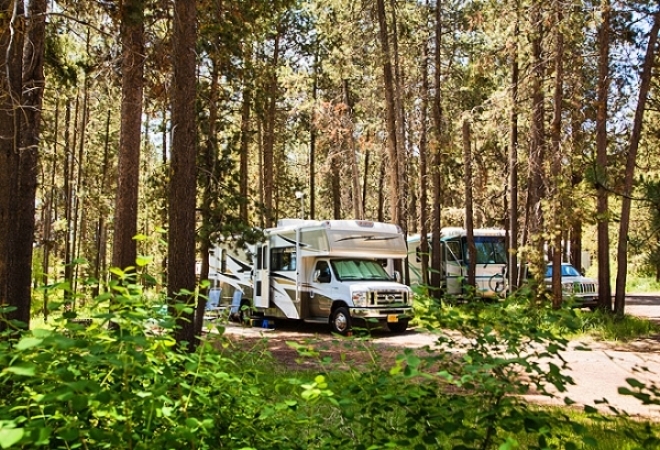 With all these amenities, you’ll find that staying at an RV park costs more than a campground. However, there are a variety of ways you can lower the cost that I suggest you look into before booking your stay! Many RV parks offer a discount for longer stays. You’ll receive a lower price per night on stays that are a week or longer. The following RV clubs/memberships will get you discounted rates at RV parks. Passport America: the original “50% OFF camping club” gets you discounts at over 1,900 campgrounds across the country! I saved over $400 in my first three months of full-time RVing from Passport America. Your membership can sometimes pay for itself in your first stay. Want to sign up? If you use my affiliate link, Passport America will give me a small commission! Thanks! Good Sam: This RV travel and camping membership offers a variety of services other than just park and campground discounts, such as roadside assistance, and online travel resources. Escapees: Members of this total support network for RVers will get you WAY more than just discounted spots to park. Escapees will help with every aspect of RVing, so check them out. I use them for receiving my mail on the road! Thousand Trails: Purchasing their “camping pass” will get you special access to stay at their 80 RV parks nationwide. Thousand Trails has resort style campgrounds that are sure to impress. I’m not personally a member, but have stayed at one of their campgrounds before, and loved it! Yes, there really are free spots to park your RV, even though most of the country has strict parking regulations. You’ll often see these spots referred to as “boondocking” or “dry docking”. The Bureau of Land Management (BLM) controls land all across the country and allows boondocking on a first-come, first-served basis. Each spot varies on how long you are allowed to stay, though. Also, many of these spots are off the beaten path. You’ll need to be fairly comfortable driving or towing your RV along roads that are often unpaved and sometimes not in great condition. Researching the spots will help you understand the road conditions beforehand. Boondocker’s Welcome is another membership website in which you can boondock for free as a guest on a fellow RVer’s property. Their property will have restrictions based on whether it’s a house, ranch, etc and may or may not have hook ups, but what a fun way to meet new RV friends! 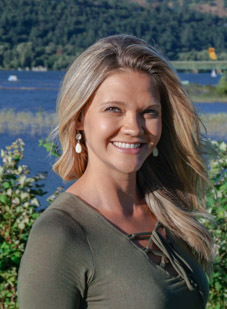 Harvest Hosts offer a $40/year membership that connects you to businesses that are willing to host RVers on their land (farms, museums, vineyards, ranches, etc.). Your length of stay depends on the host’s preference, but some even offer hook ups! Just remember, that although your RV spot is free, it is encouraged and courteous to purchase the service or product that the host offers. FreeCampsites.net This website features a simple, searchable map to help you discover free and cheap camping areas. You’ll be surprised by how many options you have when you just type in a location. So, once you’ve decided which type of spot you’re looking for, be sure to filter your search. This will drastically narrow down your options, making it less overwhelming to choose. Also, it would be a shame to ignore the filters, such as RV length, and book a spot only to discover after showing up that you are actually unable to park there. Be sure to put those filters on right away too! Don’t make the mistake of searching just based on location, finding an RV park you really want to stay at, adding your filters, and then discovering that they can’t accommodate your stay for whatever reasons. So spare yourself those feelings of FOMO (Fear Of Missing Out). 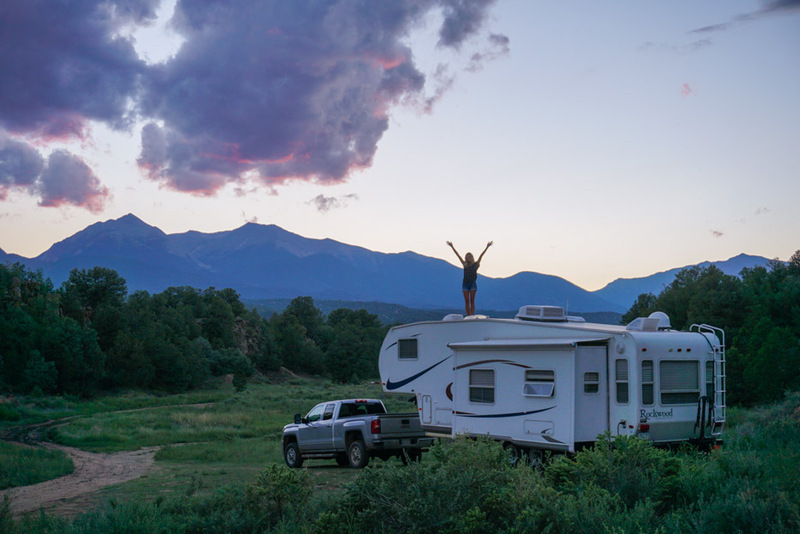 It doesn’t matter if you’re planning to stay at an RV park, campground, or free boondocking site, you should always check out reviews before booking or arriving. You don’t want to show up somewhere after a long travel day and be disappointed. With RV parks and campgrounds, you can’t typically get a refund on a reservation without at least 24 hour notice. With free spots, you’ll want to research road conditions to BLM lands, reviews of the hosts who you are staying with, and other important tips. There are plenty of reviews and photos out there on the sites I mentioned above, on Google, and even YouTube. So use them and you’ll know what to expect when arriving. Every RVer feels differently about this and some are perfectly fine showing up at a campground or RV park and asking for a spot. I prefer to know where I am staying and not have to worry about driving all over town to find somewhere to park. Travel days are tough and I like to take the pressure off of finding a spot. I also recommend calling to make a reservation. Reserving online isn’t always a possibility. Sometimes a website will say they are booked when they actually aren’t, due to cancellations. Calling is quicker, more accurate, and sometimes you can pick your spot by asking over the phone. Now you’re on your way to discovering the most epic RV camping spots in the US! As they say, “home is where you park it”. Whether it’s a free spot, a resort style RV park, or a campground inside your favorite national park, you now have all the tools you’ll need to find the best place to call “home”. 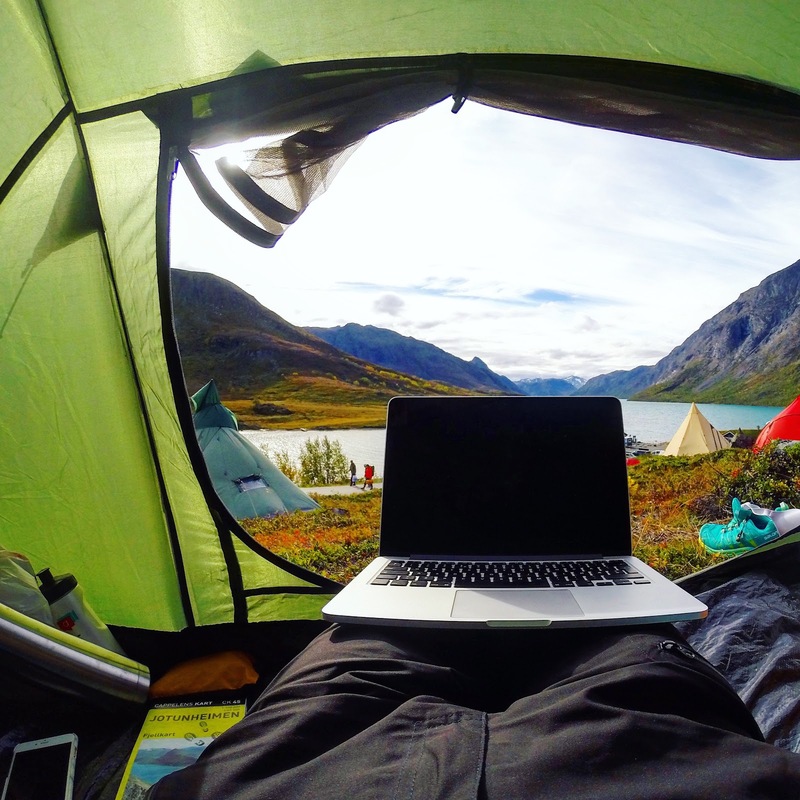 Tell us in the comments below where your favorite camping spot is!